I started out taking a recreational cake decorating class with my mom when I was still living in NY. I loved it and moved to PA to be with my boyfriend (now husband), where I began interning for a bakery in Chestnut Hill. 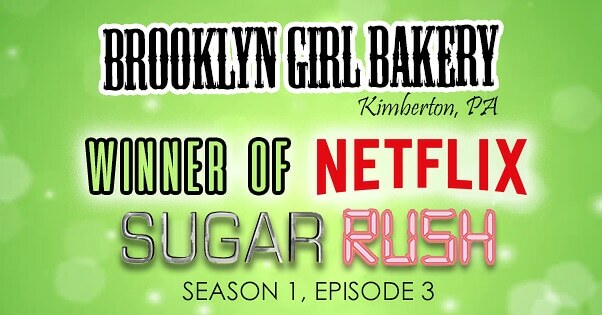 Over the course of 7 years I worked my way up from intern to pastry chef until I decided to leave in 2012. I do all of my baking in our home kitchen which is licensed and insured by the Dept. of Agriculture. Initially, I wanted to focus on wedding cakes so I immediately started contacting wedding venues in the area to see if they would include me a wedding cake vendor in their packages. I currently work with over 10 venues and several caterers in the area. While wedding cakes are my main focus, I also make cakes and cookie favors for all occasions. While I don’t have a retail location, I have a consultation space in the Kimberton Arts Building where I can meet clients for tastings and cake pick ups. 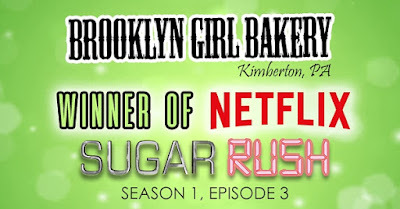 For more information, please visit brooklyngirlbakery.com.